Last week, NASA announced that the MESSENGER spacecraft surpassed a huge milestone having returned 200,000 images of Mercury back to Earth. We say, congratulations! You deserve the best high-five ever! MESSENGER is now in its second extended mission studying Mercury and its environment. As the first spacecraft to orbit the innermost planet to the Sun, it was expected to return between 1,000 and 2,000 images. They’ve now surpassed that by a factor of a hundred. As the spacecraft is brought to lower and lower altitudes, it will send back some of the highest resolution images of Mercury’s surface. A new mosaic has been released to commemorate the milestone. The seven scientific instruments on MESSENGER have profiled crater depths, explored the tenuous exosphere of the planet, measured the surface composition, and given planetary scientists clues into the formation and history of this small, rocky, dense planet. The work isn’t done. We house a library of MESSENGER images right here with Planet Mappers: Mercury Edition. Mercury is a very different world from the Moon and Vesta which we’ve had you studying as well. In particular, we want you to look for linear features, cracks and faults that criss-cross the surface. There are also the familiar crater-marking tools to use. 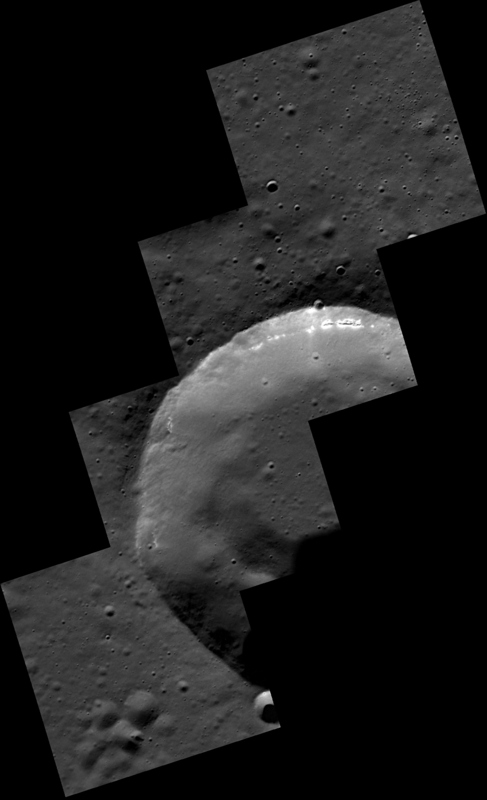 We’re interested in getting a global perspective of the crater population of Mercury, which is thought to have a large number of secondary craters, craters formed from impact debris itself, at small size scales. I admit, I got distracted by all of Mercury’s unique features when I was putting together the tutorial video. Even if you are an experienced crater mapper with our other projects, you’ll want to check it out for a demo on the liner features tool. So celebrate Mercury and MESSENGER by doing a science with us! Nicole Gugliucci is a Ph.D astronomer and works with the fabulous project known as CosmoQuest.